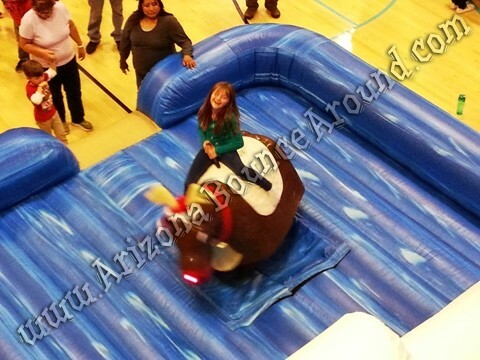 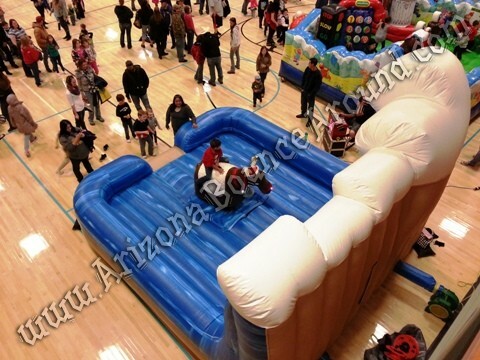 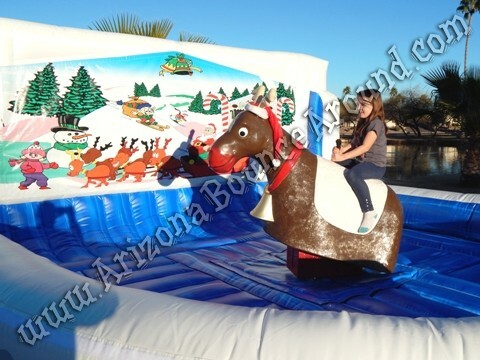 Our mechanical reindeer is just like a mechanical bull except with the holiday theme. 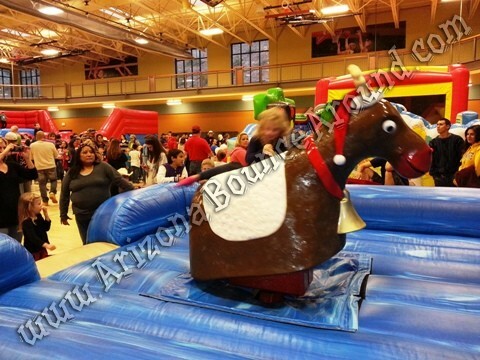 Our mechanical reindeer has soft antlers, a flashing red nose, Christmas hat and jingle bell around his neck. 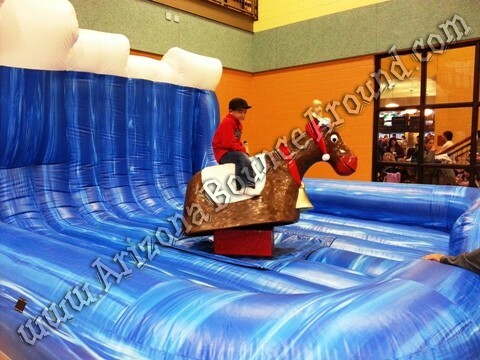 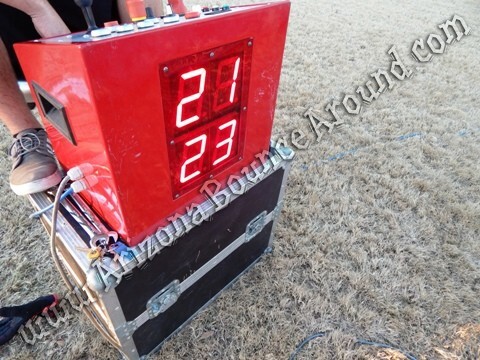 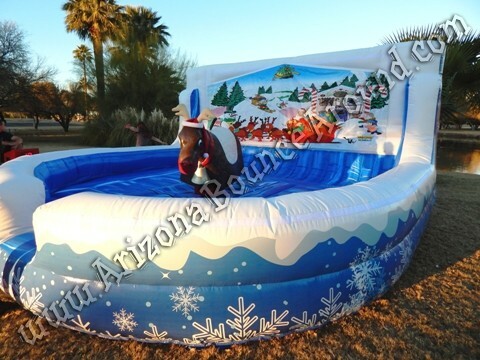 This attraction will be a big hit at any holiday party or event and will make a perfect photo opportunity for everyone at your event. 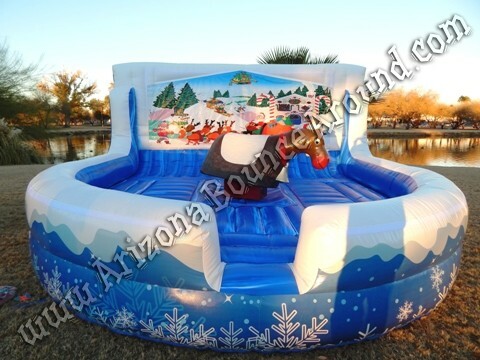 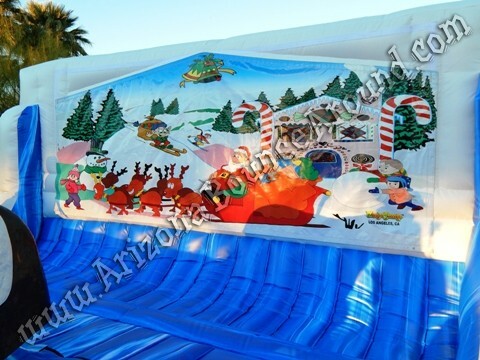 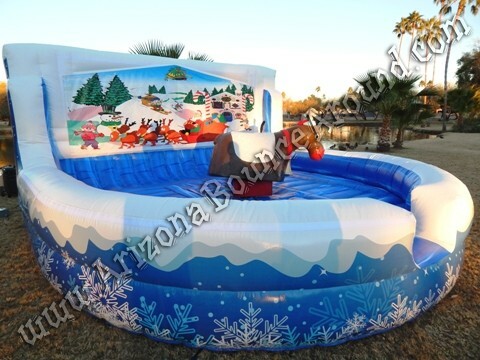 We have several holiday themed inflatable mattresses to choose from so be sure to call for details. 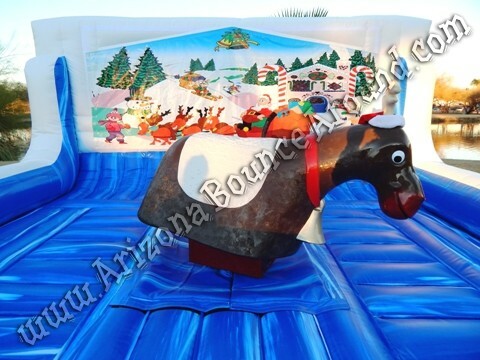 Our mechanical reindeer has a flashing red nose and soft antlers to make your holiday party look amazing. 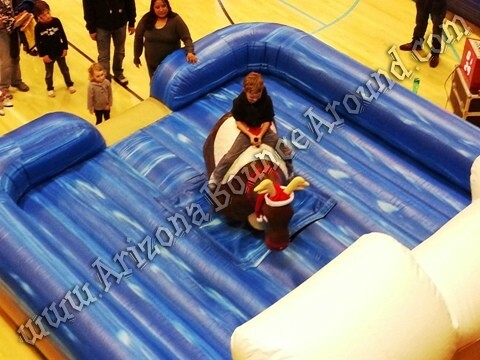 Leave it to Gravity Play Events to have the coolest holiday games and activities in Colorado sure to please any age group.